The winner of the 2018 Times Square Valentine Heart Design Competition has been announced. 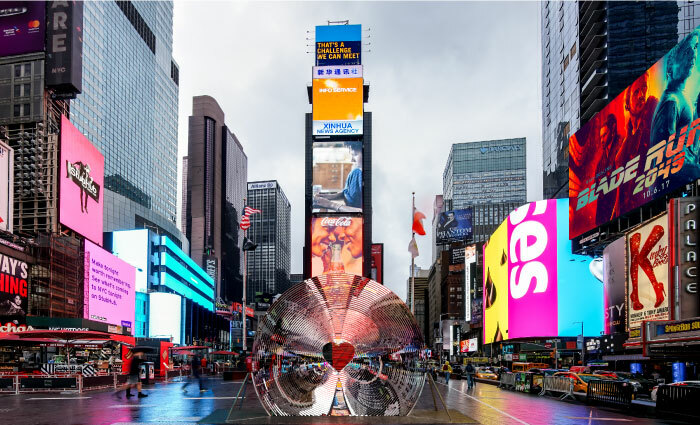 Window to the Heart, designed by ArandaLasch + Marcelo Coelho, will be on view from February 1 through February 28, 2018 in Father Duffy Square, between 46th and 47th Streets. Barbara Wilks was on the jury for this invited competition, curated by the Design Trust for Public Space. Visit the Times Square Arts website for more information.